BioSmart® All New In-Wall Far Infrared Heating System makes zone heating easy with built-in thermostat controls and dual power settings. 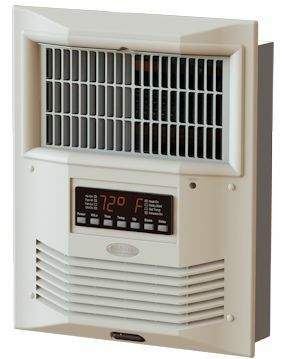 The BIO-1500FTA also includes BioSmart’s patented Air Purification module which can operate independent of the heater. Perfect as a primary heating system for your home, office, studio, or gym. For help with calculating how many units you’ll need for your space, call 1-866-446-0500. IMPORTANT: Please indicate in the order notes or by phone if this is for a retrofit, so we can include the retrofit mounting brackets. See the Owner’s Manual for specific installation instructions. See your Owner’s Manual for Troubleshooting your BioSmart™ Therapeutic Ceramic Infrared In-Wall Heating System, or call our customer service department at 1-800-595-9605.